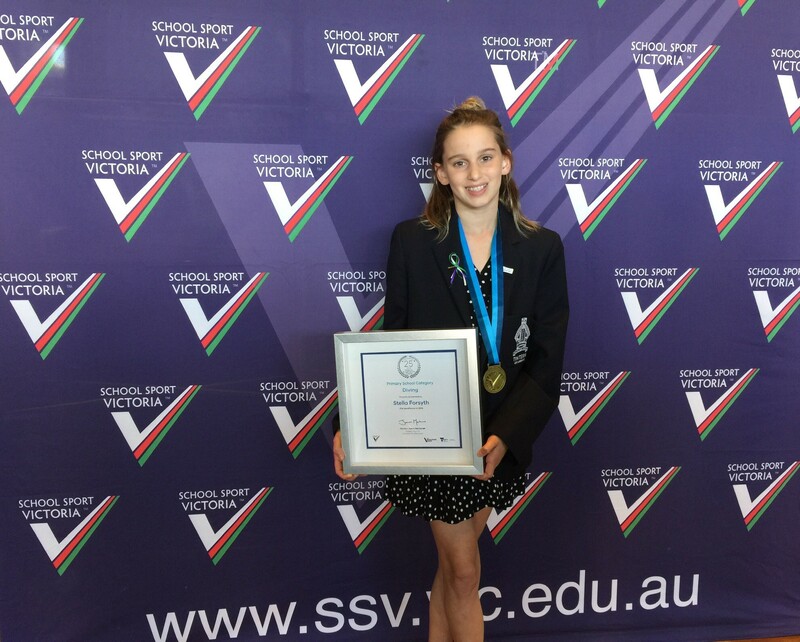 Congratulations to Stella Forsyth in Year 7 who was awarded the 2018 Victorian School Sports Diving Award at a presentation ceremony at the MCG last week. Stella was awarded best diver on the Victorian team for her performance at the 2018 National Championships in Perth, where she won five national medals, including two Australian titles (two gold, two silver and one bronze). Well done, Stella!